Are you a keen backpacker? If the answer is a resounding YES then you must read this post. As a backpacker, you need to carry certain essentials. These accessories are meant for survival, comfort, and safety. Backpackers are always looking for adventure. They are always ready to pack their bags and visit new places. They visit new destinations which are unexplored and exciting. Since you will be exploring the wild or experiencing extreme weather conditions, you must be well-prepared for the trip. We have listed the Top 7 Travel Accessories for Backpack Travellers. This will help you to make a quick checklist! 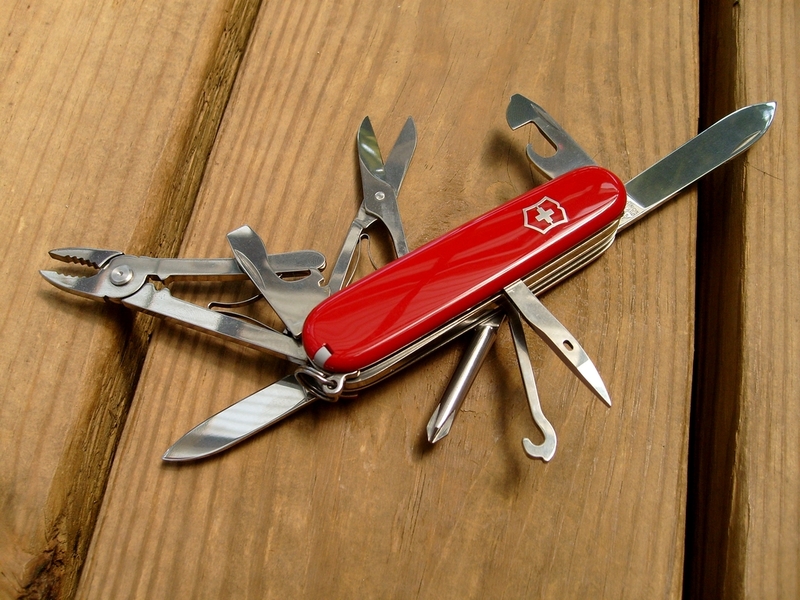 Hikers and backpackers must carry a Swiss Knife or a pocket knife with them. Carrying a sharp knife with you would be very useful! It can help you to cut ropes, prepare food and even cut a coconut that you find on an island. It is a useful tool that can even be used for your safety! There are backpackers, who leave their phones behind. In case you are a backpacker and you are carrying your phone to click amazing pictures or just stay in touch with your family then keep a power bank with you! Your phone will never run out of battery charge and you shall always stay connected with your family and loved ones. Also, you do need a lot of battery backup to click pictures of the scenic beauty and the local people. Sleeping liners are very important! 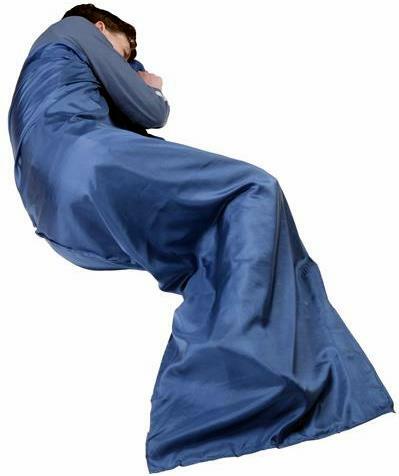 In case the linen on the bed is dirty or if you do not want to sleep on the grass, carry the sleeping liner with you. It covers your entire body and you will stay warm as well. What if it starts raining? You need to be prepared for the worse weather condition! It might just start snowing or raining while you are hiking. By buying a backpack cover, you can protect your backpack from getting drenched. After all, it has all your essentials! You need to make sure that you are buying the right size cover for your backpack. Most backpackers carry a cover to protect their backpack while traveling in trains or buses. If you are staying in a good hotel, you would get fresh towels. However, there are times when you may not get clean towels. Carry a travel bath towel with you! It can be used on the beach, middle of the forest or even in the train or bus. They come in different sizes and colors. You can carry something which fits your backpack. Make sure that you let the towel dry up before you keep it in your bag. This is to avoid mold or foul smell. Packing a travel pillow would be a wise idea! It gives you head, neck and chin support which is much-needed. While you are traveling in the bus, you would require a travel pillow to sleep peacefully. It helps you to get sleep on trains, long flights, and congested buses. When you are on a plane or a bus, there are chances that you may fall asleep on a stranger’s shoulder. It is not a pleasant thought! Pack a travel pillow and save yourself from strangers and disturbed sleep. While you are traveling, anything can happen. You must lock your backpack with a travel lock! This is an important accessory which you must carry. When you are on a train or a bus, lock your backpack. It will keep your money, essentials, and clothes secure. One must ensure travel security because you may be going to a new and unknown city. Losing your backpack means losing money, important documents (identity proof) and all the essentials. We hope that the Top 7 Travel Accessories helped you to make a checklist! If you are heading to a new destination this week then make sure you have all the things mentioned above. Don’t forget to pack the extras like a map, sunscreen, sunglasses, warm jacket, and tools for creating fire (matchsticks and some wood) and even a pepper spray! Once you have packed everything, you would be ready for the adventurous trip! Aahuti is an enthusiastic travel writer on a mission to see every single country in the world – on her own. She works at The Backpacker Co – Backpack Travel Europe as a content writer. When not working Aahuti avidly trots across the globe and loves to share her traveling experiences for anyone wanting to travel the world solo. « What Causes Northern Lights and When Can You See Them?